Intelligence quotient online test variant 6. 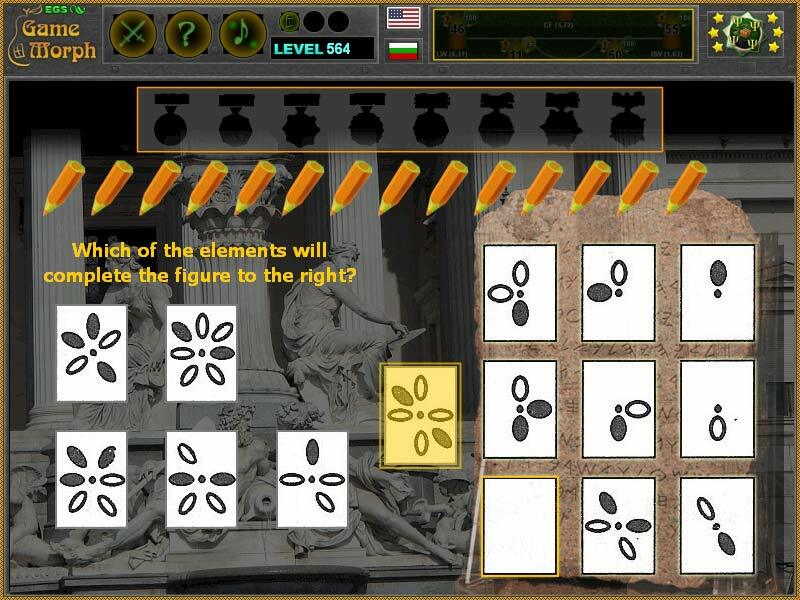 "Logic Elements" is another fun free online test to train skills in Intelligence Quotient. It is the sixth part of Logic Figure tests, with different figures and logics. 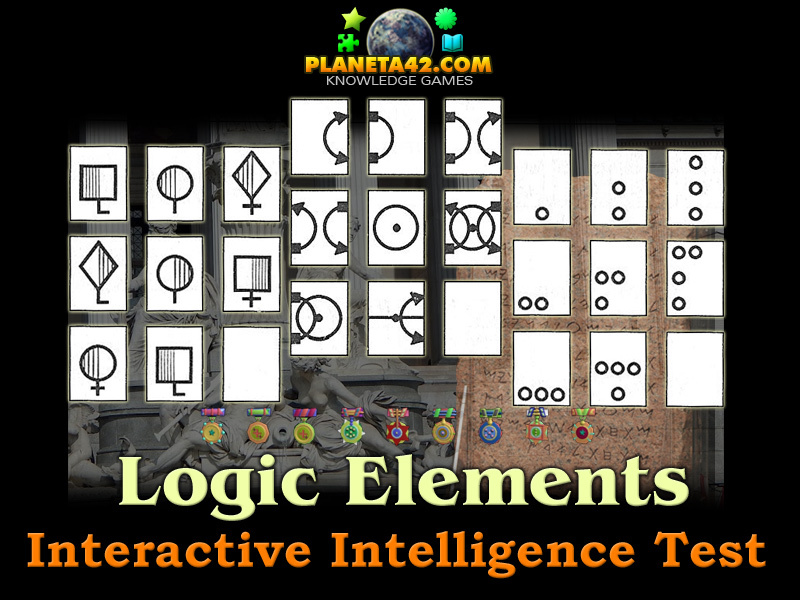 The Interactive Knowledge Board include 42 logic elements and 7 models to play with. There are 6 different elements with strange shapes to the left. And the logic matrix is to the right.